Headed up to NOPI drift Denver. Chris at #20 , and Hubert at #16 before this weekend. Then June 30 , July 1st is Home Depot Center in LA. 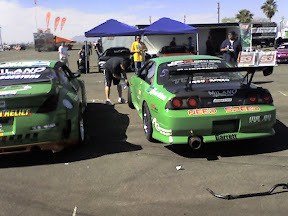 Couple weeks after that July 14th weekend - Formula D(Seattle) and D1(Las Vegas) the same weekend.